Security evolution is inevitable. Building management should always be on the lookout for new insights, new security practices and technologies to ensure they are at the forefront. Most savvy building owners know better than to ignore the ever changing market demands. Reports indicate that commercial tenants place the highest priority on security when looking for office space for rent. This is because of reasons such as creating a safe, secure and accommodating environment for their employees and the nature of tenant’s business such as healthcare facility or a financial institution. Here are top 6 trends that are making headlines in Class A office buildings. Both technology and economics have played a role in the reduction of the number of security personnel manning Class A office buildings, particularly in off-peak hours. If you look at it from a management and operational angle, it is cost-effective to work with efficient security equipment as compared to security guards. Technology has made it possible to use smart cameras and video analytics to monitor office building activities. It has reduced cases of human error as systems rarely make exceptions or get distracted during operation. Space has been at a premium and is likely to be so as population grows. This has mainly directed attention to adaption of turnstiles with narrow lanes to provide security. Manufacturers have actually taken note of this and you can now find entrances that use minimal space. You will find glass turnstiles in Class A office buildings because they offer small footprint. On the other hand, optical turnstiles are becoming less popular. The level of security is high on ground floors due to factors such as security risk concern and changes in market demand. As reports indicate, more commercial tenants are opting to rent office space in buildings that offer high ground floor security. There is certainly no doubt that Class A office buildings face unprecedented security threats and if the right measures are not taken to guarantee maximum security, things go could wrong if there is any sort of compromise. As such, you can expect security solutions in Montreal such as screening equipment, visitor monitoring systems, video analytics and effective security back-up systems that not only cater for the entire building but also for the ground floor. Security equipment is now matching the design and structure of Class A office buildings. You can look forward to seeing custom finishes for security features such as camera casings, pedestals and turnstiles. Emphasis on visuals is increasingly gaining popularity as the year progresses. While more emphasis has been laid on ground floor, trends in Class A office building security show that detailed security covering more than just the ground floor is becoming a norm. For quite some time, security has been centered on the ground floor. This simply means that once anyone gets past ground floor security, they can easily access any floor in the building. Detailed security adaption has seen to it that there are mantraps, turnstiles and other security features on each floor thus minimizing security threats. There is also an increase in the use of biometric readers that highlight all the physical traits of a card user thus revealing facial appearance and fingerprint. This provides the highest level of security in Class A office buildings. Due to technology advancement, biometric readers now operate faster and the best part is that they are cost-effective and reliable. These are some of the top trends that are catching up with commercial buildings, as change in security demands call for effective security solutions. If you are planning to rent office or own a commercial property, this useful insight will help you when making choices concerning office building security. The worst challenges can be faced and tackled by a number of individuals who come together with a common purpose. With condominium security, nothing could be clearer. Property manager, contractual service providers as well as the condo board have to work together to ensure that condominiums are not just great in design but also in safety and security. Apparently, security challenge begins long before the completion of a building. Condo building design essentially plays a crucial role in determining the level of security. Here is more on condo building security. Although condo buildings may face security challenges from time to time, there is a way to minimize them. This can be done way before the building is constructed. Developers and engineers should first consider blemishes of previous buildings to ensure there is no recurrence of the same. By consulting professionals for condo security in Montreal, they can bypass most of these challenges. Budget is a crucial factor in this case, as it determines the kind of security features that will be incorporated into a building. Therefore, it is the responsibility of condo management to prioritize security budget to ensure that it is enough to cater for the security needs of a condominium. That way, designers and developers will be in the best position to put up a secure facility. Every condominium has a certain physical design, which may pose quite a number of challenges when it comes to access control. Most buildings do have emergency exits. Unfortunately, these exits tend to be out of sight. This makes it quite challenging for security guards to monitor them. There are buildings that share facilities alongside towers that adjoin. These buildings face high human traffic and as such, they require more monitoring. There is definitely more area to cover in a complex with several towers and shared facilities. Hence, the needs for an effective security access control system. A good security system makes it easy to manage personnel access to condominiums. It combines elements such as CCTV, access control, concierge systems and security personnel to ensure heightened security. To address the issue of high human traffic, the condo management should see to it that there are more security personnel particularly during peak hours. Security features such as additional man traps can also come in handy. For instance, making small spaces with a pair of interlocking doors that require closure of one door before opening of the other can boost security. In addition, you can have card access systems that allow security guards to monitor usage of such cards when accessing the building. Buildings have delivery zones for the purpose of receiving parcels and packages. This is a common area that also offers security challenges. Complexes should have a specific room for parcel and package delivery that can be easily monitored by security personnel. Growing population in urban centers has made parking in condominiums quite a challenge as there is minimal space. It is hardly possible to provide sufficient space for residents, commercial occupants and their staff as well as visitors. Developers can simply come up with a parking schematic that effectively monitors and governs parking activities. The good news is that all these challenges can be addressed by turning to the right people. Security professionals have more insight in matters concerning building security. By presenting the blueprint of a certain complex to them, you can identify areas that may pose security challenges and get effective solutions to divert potential threats. Therefore, you should take time when planning with developers and contractors on property development. Most importantly, you should consult security experts to determine any flaws that may make the complex less secure. This way, you will be able to address most security issues appropriately. For most people, the internet simply means listening to great music, watching movies, playing games and catching the most trending stuff. While this so happens to be the case, the internet is needed practically in everything that people do. For instance, job searching, making new friends, personal education, shopping, booking events and so forth. Businesses all over the world have not been left behind either. They have absolutely taken advantage of the unique merits of the internet such as instant communication and easy access to vital information. So many sectors have reached out for the lion’s share as far as internet use is concerned. In the security industry, there have been newer innovations such as Guard Tour Systems, CCTV and the like. Through incorporation of various internet innovations, it has been possible for the security industry to improve their work rate by a significant percentage thus boosting both productivity and sales. Here is more on how security experts manage it. The primary element of good service in the security field is security guard equipment. Clients are more concerned about the safety level provided by security companies. There is no doubt that the internet rapture has created newer paths for security companies to effectively handle their assets and fully gain the confidence of their clients regarding safety. Early reports indicate that security guards went about their usual daily takes with the help of a range of equipment to provide protection both to clients and themselves. In addition, use of various equipment allowed them to take down crucial notes about patrols while doing their level best to divert threats. Security guard equipment includes such things as walkie-talkie, flashlight, digital camera, proper clothing, defense equipment, mobile phone, belt, notepad and pen. 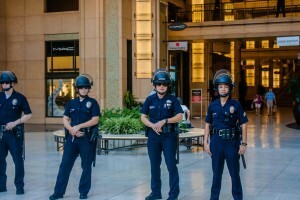 Security personnel rely on this equipment to provide the best services to clients. This helps make security patrol services efficient. 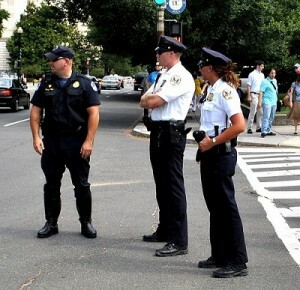 Security personnel can use mobile guard tour systems thanks to technology. There are effective guard tour solutions applicable to cloud technology for delivery of better service. Security companies need to acquire software perfectly designed to meet their daily needs, which include guard tour, information access and threat diversion. Mobile patrol saves time and reduces paperwork making service delivery great. A security company should install an approved mobile patrol system for efficient operation. Security personnel require certain gear to do their daily tasks, which can be cumbersome some times. However, mobile patrol application eliminates the need for such gears making it easy for them to go about their tasks flexibly. In that case, a security guard may not require a flashlight because smartphones come with one. Alternatively, you can download a flashlight app. Digital cameras are not necessary as cameras are simply part and parcel of any smartphone. Notepads and walkie-talkies are no longer needed. Therefore, a security guard in Montreal no longer has to carry around such outdated gear. What a security company needs to do is simply test the mobile patrol software to see how it works for them. After making trials, they can determine what is best for them. With good mobile patrol software, you can upgrade your services. In addition, acquiring software for guard tour monitoring is also recommendable. 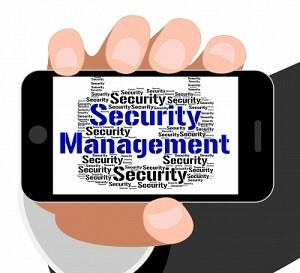 You can get the most out of technology by simply consulting security technology experts. You will be able to know the most effective security solutions that will change the manner in which you deliver services. Technology is dynamic and as such, you should always be prepared to incorporate newer things to provide the best services to clients thus winning their confidence. For a company, not only does investing in security alarms keep your business premises and clients safe, it will also safeguard the security of your employees. To ensure total security, you need to consider updated industry practices when it comes to commercial building security in Montreal. Find a security company that specializes in alarm response to advise you on the right alarm equipment to install that will suit your business. It is one thing to install a properly working alarm, but it is another to know how to effectively use and respond to it. Once you have an alarm installed, you need to alert all the employees working in the company and plan a proper training on how they need respond to a security alarm. If any of the employees sees danger and triggers an alarm, the rest of your staff need to know how to react to the alarm to ensure everyone stays safe. These are simple guidelines on how employees need to respond to a security alarm to ensure that everyone remains safe. It is not uncommon for systems to trip and raise a false alarm. You need to inform your staff that they should never be in a hurry to turn them off. They first need to verify the cause of the alarm before they respond accordingly. Before the alarm can be verified, all employees need to remain calm in their stations. You can use the monitoring station to check if all departments are ok. If you notice any suspicious activity, you need to immediately notify the law enforcement. Most alarm systems have been designed to send a direct alert to a security company in case of emergencies. 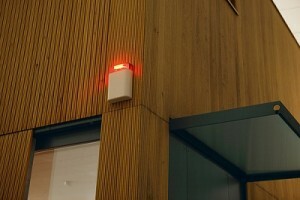 Not all alarms have sirens and some are silently triggered to send a signal to a security company. Once the security firm gets the alert, they usually give a grace period of time which ranges to a couple of seconds to minutes before they can call. They usually give this time to allow one to disarm the system in case it is a false alarm. If you are sure that the alarm is not false and the security company has not called you, you need to call them immediately from the monitoring station. Once the alarm has been verified to be a genuine alert, all staff should be instructed to remain in safe places. In case of a burglary, employees away from the exact scene of crime should quickly find safe rooms where they can lock themselves until help arrives. If there are any clients around during the incident, the staff should direct them where to go for safety. For those employees who come in direct contact with the burglars, they should remain calm and be cooperative as they wait for security to arrive. You should advise your employees to never engage with the burglars directly. Security firms ensure that they respond to alarms as fast as they can in case of a security breach. Together with the police, they try their best to neutralize any situation to ensure safety for all. Once peace and order has been restored, you need to call for a roll call to ensure that every employee is accounted for and is safe. Check for any injuries or casualties. If there are casualties, ensure that you call for an ambulance immediately. Depending on the severity of the situation, you can let your employees have the rest of the day off to give the security firm enough space to conduct their investigation on the incident. When was the last time you carried out a full security audit for your company? Every successful business owner knows that a company needs to invest in security solutions in Montreal to fight against security breaches to ensure the growth of a business. It is one thing to invest in top of the range security systems in your company, but it is another to ensure that they continue being effective. For security reasons, most companies and businesses prefer accepting payments through cards and bank money transfer. This means that they need to back up sensitive customer information in their systems. This information is usually very sensitive and if it ends up in the wrong hands, the consequences can be dire. A company needs to protect their own business data as well as their consumer data to avoid fraudulent cases. Performing full security audits can help a company detect any breaches in the system. If any security breaches are found, they need to be taken care of immediately to block hackers from accessing vital data. To build a loyal client base, a company has to gain customers’ trust in order to continue doing business with them. One of the things customers look for in a company before they sign up with them is the ability of the company to provide a safe and secure business environment. The other thing customers look for is the ability to be able to trust a company with their sensitive data. One way to ensure that you gain customers’ trust is by making sure that their security is assured. You can only do this if you perform a periodic security audit to ensure all security systems are in order. With time, hackers and robbers try to find new ways they can cheat security systems and firewalls. A company needs to invest in the latest security solutions for them to be able to curb new security threats that come up. Performing a full security audit allows a company to know which areas of their security are weak and where they need to maximize on security to minimize chances of frauds and attacks. If you don’t perform these security audits, you may end up being stuck with outdated security solutions which are vulnerable to criminals. For a business to grow, it has to ensure it does not incur unnecessary losses. Money lost through burglary and system hacking, can end up dragging a company back and sometimes a company may not be able to recover completely from these loses. To avoid losing money through security breaches, a company has to heavily invest in security audits to minimize the chances of losing money. Performing regular security audits will end up saving your company thousands of dollars that would otherwise fall in the hands of criminals. It is advisable to hire a reputable security company to take care of your security solutions as well carry out periodic full security audits. Before hiring a security firm, check their track record to avoid dealing with questionable security companies. Work with a prominent security company that is well known to avoid putting your company at risk. Why Invest In Digital Video Surveillance Systems For Your Business? Posted on: In: Blog | Comments Off on Why Invest In Digital Video Surveillance Systems For Your Business? It is a simple fact that employees work better when they know the boss is watching. You can use video surveillance to monitor your employees. You can also improve productivity in your business by using these video systems to enhance communication between different departments. It is not uncommon for conflicts to arise in the place of work. These conflicts can be between employees or between an employee and a client. To effectively resolve these conflicts, you can easily play back the video footage of what transpired to know how best to handle the situation. If necessary, you can also use the same footage to act as evidence if need be. After installing security cameras, you need to put up warning signs showing the building is under video surveillance. Criminals and burglars take caution when they know that a building is being monitored and knowing that the cameras exist, discourages them from taking action. This means that your business remains safe and secure and you reduce cases of theft in your business thus saving money. Now, business owners are enjoying the comfort of monitoring their businesses from any location using remote video monitoring service. That means that you will be flexible enough to move around while still keeping an eye on your business. This way, you are able to venture into new market shares which in turn helps your business grow. 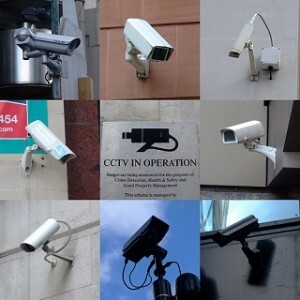 Big companies have a monitoring station where all surveillance cameras are manned and operated by qualified personnel. This means that someone is always watching what is happening around. In case of an employee is alone and has an accident, the staff in the monitoring room will be able to see the feed and call for immediate help. Your staff will also work confidently knowing that they are closely monitored just in case something happens to them, they are in safe hands. Recent security systems are able to store a lot of surveillance footages for future references. All the footages can be stored digitally and they can easily be retrieved if need be. A business owner can use past footages to study and analyze how his business is doing. This is best applied in a retail environment where you learn customers’ shopping patterns to know how to improve the services in your store. If your business has an insurance policy, it is best to invest in video surveillance. In case of a robbery or fire, the insurance company seeks to confirm if the claims are true before they can pay up. Installing security cameras equips you with enough evidence in case of such incidences which means the insurance company does not delay in paying your compensation. In turn you resume back to your business without losing a lot of time and resources. Using remote devices, you can easily monitor who has access to your business. You choose to allow or refuse entry to these parties by a simple touch of the button. This saves your company a lot of money that would otherwise be lost through theft and burglary.